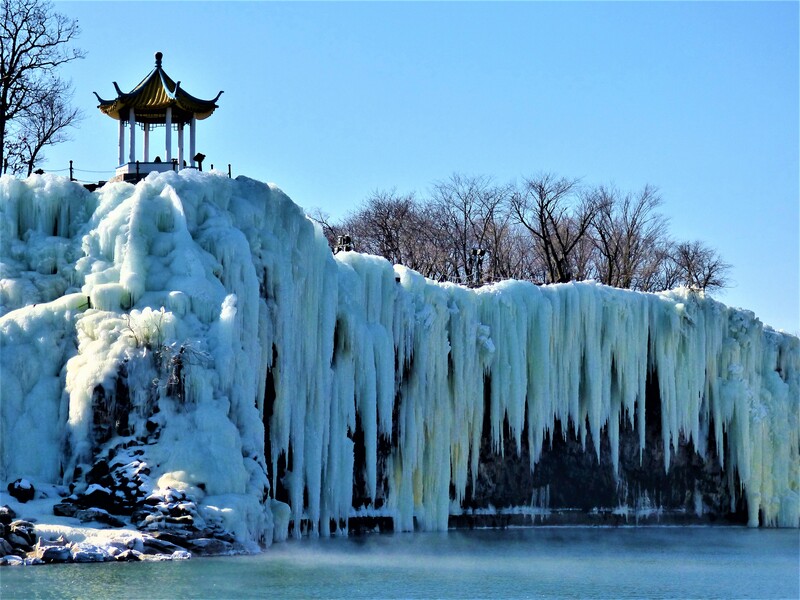 This is undoubtedly one of the highlight attractions when it comes to the North-East of China. Although not having that much of an international reputation it is however revered by the locals as a widely recognised cultural attraction. 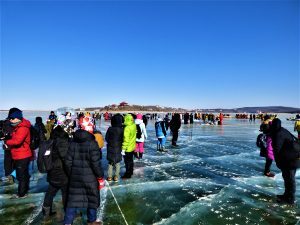 Jingpo Lake and its surrounding natural attractions are even recognised as an important national and historic interest throughout China, labelled as a Geopark in 2006. 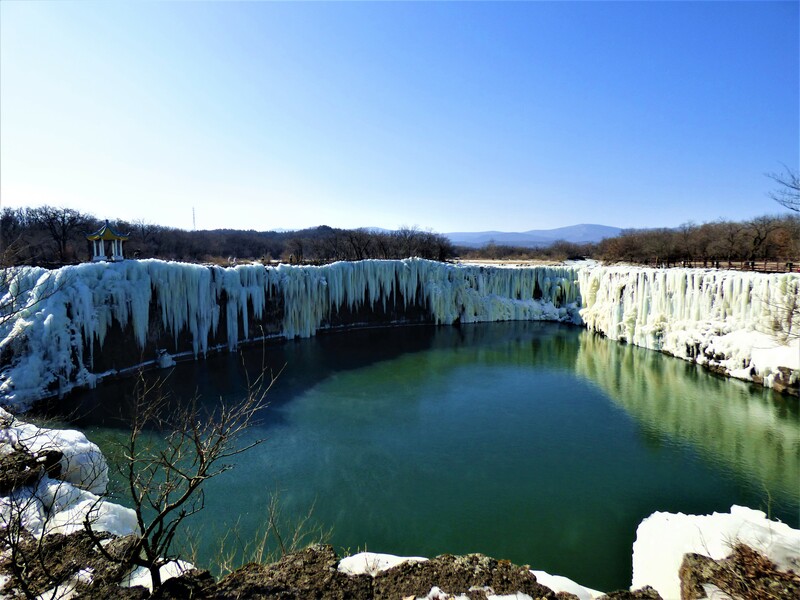 Jingpo lake and its surrounding scenic area provides some spectacular examples of lakes, waterfall and volcanic landforms that are scattered across this region of the world. Not only having a picturesque lakes of mythical proportions, but also holds the title of having Asia’s biggest waterfall. Although the attractions name hypes-up the near-by lake, arguably the best site is found further North. This is where you’ll find Diashuilou waterfall, the biggest waterfall in Asia (the widest at least). The water-flow cascades far across the rim of the fall, reminiscent to those of Niagra and Victoria Falls. The monstrous waterfall is the result of a collapsed lava tunnel from the prevalent volcanic activity that dominated this region of the world at one point in history. Depending on the time of season depends on the view you’ll get. During the summer months the water cascades down from the mighty falls into the deep pools below. During the months when floods pervade the area causes the waterfall to grow even wider. However the best view is possibly left until the winter months. 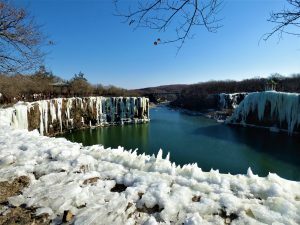 This is when the water-flow comes to a stop, and replaced with a spectacular ice sculpture display which lingers over the rim of the waterfall. The curious amongst you might question why the deep lake below remains completely unfrozen during even the harshest winters. This is due to the volcanic activity that still remains beneath. During the summer months, there’s also a spectacular performance put on from a local man called Di Huanran. This man regularly (10am and 2pm) dives from the cliffs above into the deep caverns below. 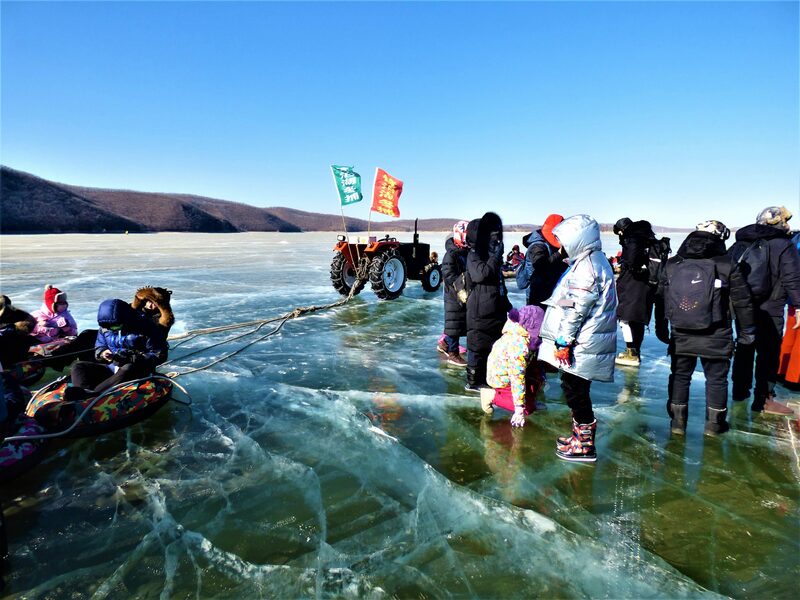 Any good attraction in China comes with its own legend, and this nationally famous lake is no different. The myth goes that the lake was formed from a fairy’s mirror which fell down from heaven, giving the lake its name “Mirror Lake“. Much like the lakes of Wudalianchi, the 30 mile long lake was formed from heavy volcanic activity that resulted in the natural damning of the Mudan River. This formed the unusual shape of the lake: a winding S rather than a circle, described as “a jade ribbon embedded in mountains”. Being over 30 square miles large, it holds the title of the largest lava-dammed lake in the world. 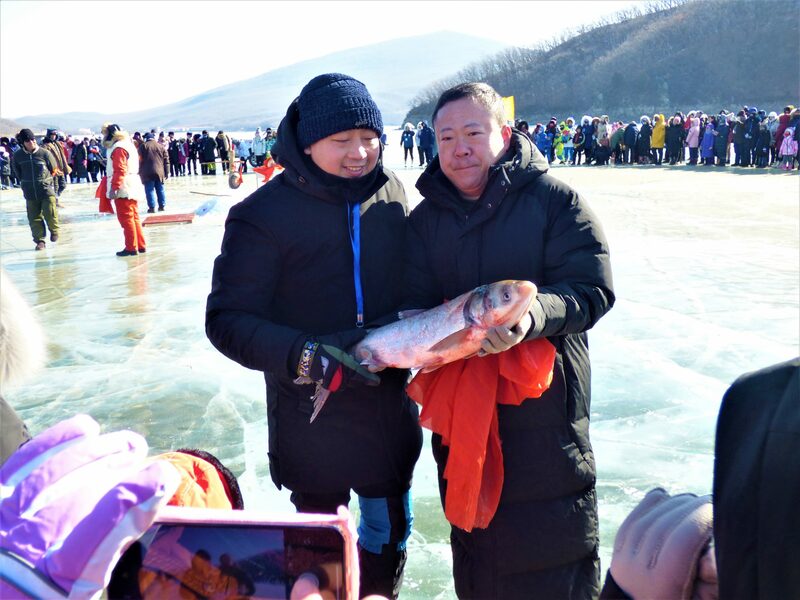 Every year from December to March, the Jingpo Lake Winter Fishing Festival occurs. A ceremony is held on the lake for tourists where the Lake Lord and the fishing nets used will be worshipped. Visitors will be treated to a display of dancing and chanting before the nets are pulled back to reveal the catch. You’ll even have the opportunity to sample some of the local authentic fish dishes. There are 12 volcanic craters scattered across the North-Western edge of the scenic area, each of which now coated in dense forestry. This will be a bit of distance away from the lake, and requires additional transport to get to it. Also scattered across the area are various lava tunnels, one of the which being the largest found in China stretched over 10,000 meters long. The scenic area also holds a number of significant historical sites to the Bohai Regime. The best of which are Shangjing Longquanfu and Xinglong Temple. Shangjing Longquanfu is a former imperial city modelled after the capital of the Tang Dynasty (618 – 907 AD). Despite the age, a fair amount of relics still remain, including the city walls and many of the significant buildings of the imperial palace. Found in the North-East of the lake, Xinglong Temple holds a number of relics significant to the regime, such as the Stone Lamp Tower, a Buddhist carving from Tang Dynasty techniques. Information on how to get there is few and far between. Sites are so incredibly vague that they’re essentially useless. So, allow me to finally give a clear direct guide to how to get to the lake. 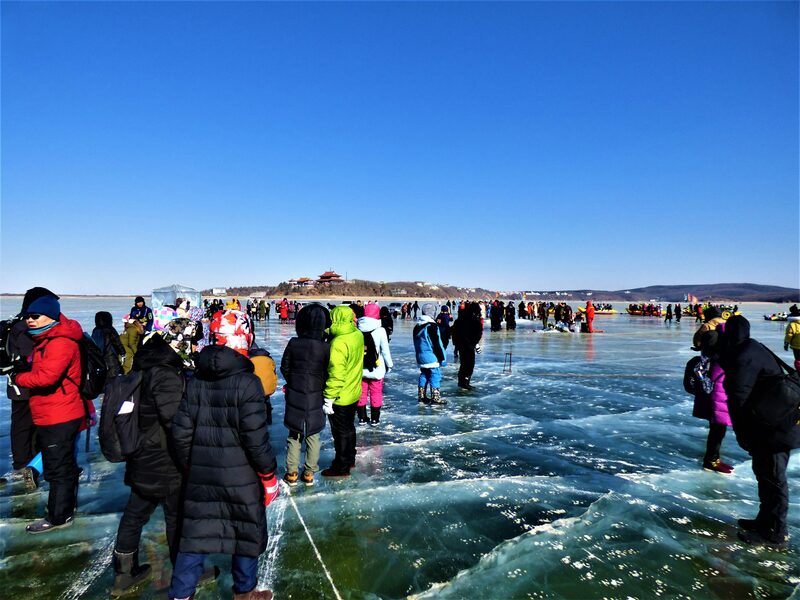 Jingpo Lake is on the cusp of two provinces: Heilongjiang and Jilin located amongst the Wanda Mountains of Ningan County in the upper region of the Mudan River. The scenic area itself isn’t too close to any town, and travelling directly there is pretty much undoable. 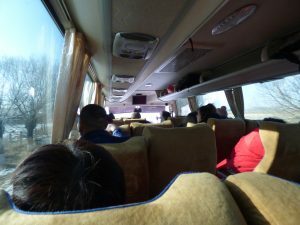 However, the city of Mudanjiang is the stepping off point to get there. Although not particularly difficult to get there, it is off the travellers usual track. The city does have an airport, but pretty much exclusively is used for internal flights. 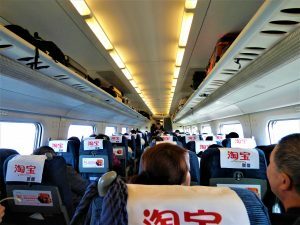 The easiest way to get to Mudanjiang would be from Harbin, where regular trains (including high-speed ones) will travel between. However, getting to Mudanjiang is only half the battle. 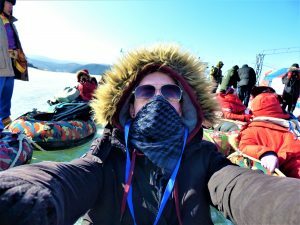 Trying to find any information on how to get from Mudanjiang to Jingpo Lake leads to instant frustration. The clearest information goes along the lines of “a bus leaves from the train station at 8am”, and that’s it. No information on where in the enormous train station complex to go or what kind of bus to look out for or any description of what it may look like. The vague information is partly correct. There is a tour which leaves from Mudanjiang Train Station from the near-by badly translated “Mudanjiang Tourism Distribution Centre” on the left of the entrance as you walk out. 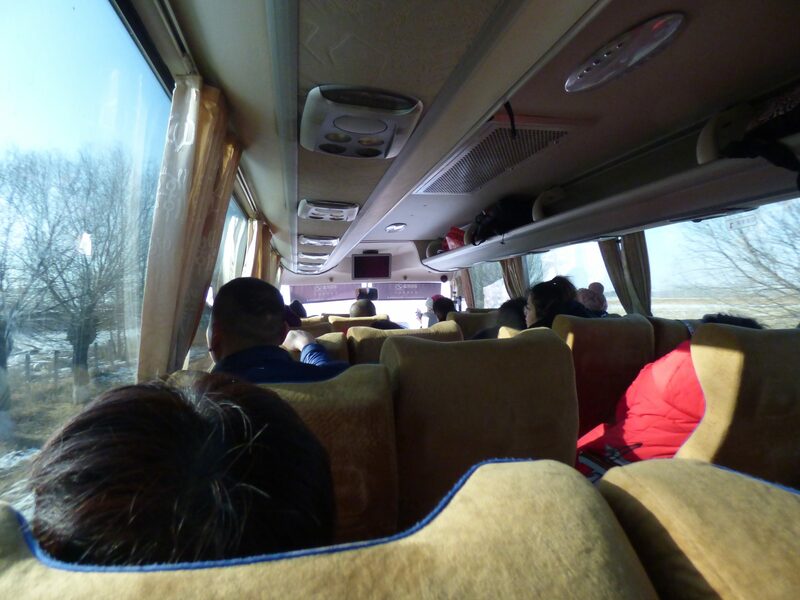 There should a group of coaches with decals on the side to the extent of “Jingpo Lake Tourism”. These tours begin at 8am when the tours start gathering customers and begin leaving whenever the bus gets full or has enough passengers. Go inside the closed looking Tourist Information Centre where you’ll be prompted to pay 225 RMB for a tour. Bear in mind, this will be a Chinese tour i.e. not a word of English will be spoken. This doesn’t really matter as other than missing out on the tour guides microphone speech at the start of the tour, its not really important. The tour essentially consists of travel to/from the scenic area (which is 1 ½ hours outside of the city) and guided to all the highlight spots. Also depending on the time of year some extra’s will be included i.e. sightseeing bus through the scenic area and activities on the frozen lake. There’s also an additional option for a meal, which is apparently fish caught from the lake itself. If you manage to find an alternative way to get there without a tour, all the prices will then need to be paid individually. Children (under 1.2 meters) get in free, and tickets allows 2 entries over 48 hours. 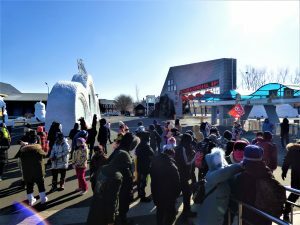 As the buses for the scenic area leave as early as 8am and only leave based on the number of people, its practically impossible to make the whole trip in less than a day. 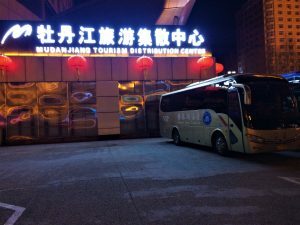 Unless you catch a super early high-speed train from Harbin, its most likely you’ll have to spend the night in Mudanjiang. Luckily enough it is a realistically big city with all the amenities. Unfortunately, though there are no hostels in the region. The area doesn’t have an enormous tourist point outside of the locals. However, there are plenty of cheap alternatives. Simple single-rooms in a no-thrills hotel will be around the equivalent price of a hostel with added privacy.